Videogame studio Beenox - which is owned by Activision - today confirmed that they are porting the new James Bond title to the Nintedno Wii platform. Thomas Wilson, creative director of Beenox, confirmed the news to GamesIndustry. "Right now we're working on a James Bond Wii title in conjunction with Treyarch (another Activision studio) and we're rolling with it because we're really good at what we're doing and Activision doesn't want to send their ports anywhere else," said Wilson, who's confident the studio can put its own stamp on the title despite not working on the original content. "One thing we want to make sure of if we're making the Wii version is that we absolutely want the controls to be top notch. Although we don't fully control the original development content because it's in collaboration with Treyarch, that's one thing that we can do – make sure we put out a strong Wii title. We're almost ahead of the title that is being developed with Treyarch at the moment, so we're saying that we're ready and waiting for stuff. That's the Beenox way of doing things, we don't want to waste time, we want to be productive." Beenox has previously ported other Activision licenced titles such as Spider-Man, Shrek and X-Men. Activision CEO Bobby Kotick foreshadowed these sentiments back in November. 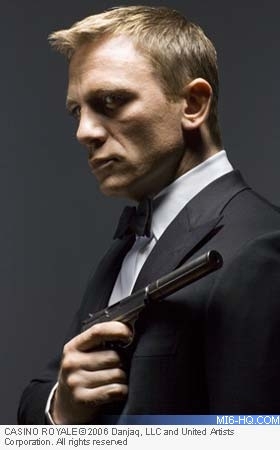 Speaking about Activision's direction with the 007 licence, he said "Bond is one of the great videogame franchises of all time and that really was a result of GoldenEye 64. I think the key to re-energising the Bond franchise is going to be ultimately the highest possible game quality." Having already confirmed their first James Bond game was officially in production back in August, Activision revealed in November that a second title based on the 007 licence was under parallel development. Kotick said that the company is committed to revitalising the James Bond brand - "one of the greatest videogame franchises of all time" - while revealing the publisher has two projects based on the license in development. "We have our best development studios working on the product, we have a second team working on another Bond product and we're putting great resources against it," he added. MI6 understands the first Bond game produced by Activision will be a blend of elements from Casino Royale and the upcoming Bond 22, which it is expected to ship alongside in November 2008. The game is in development by powerhouse studios Treyarch, Beenox and Vicarious Visions for next-generation consoles, Windows PC and hand-held platforms. Treyarch are understood to be heading up development on Xbox 360 and PlayStation 3 consoles, with Beenox producing the Nintendo Wii version, and Vicarious Visions working on the hand-held platforms. Treyarch recently released "Call of Duty 3" and "Spider-Man 3". Activision recently announced the acquisition of development studio Bizarre Creations. Besides having another racing title in the pipeline, MI6 previously reported that Bizarre Creations will be working on one of the franchise's that they own, as well. "We believe in brands and franchises not individual titles, so we'll be working with Bizarre to develop a great concept and brand in racing, as well as working with their second team, which is very talented in the action genre. 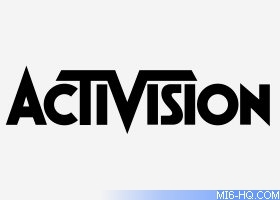 This team will most probably be working on a property that Activision already owns," said Activision's EVP, Robin Kaminsky. It has not been confirmed that Bizzarre Creations are developing the second Bond title for Activision, but recent rumours say that "it appears [Bizzarre Creations] are working on a James Bond project -- but one with a load of driving elements". Previous videogame licencee Electronic Arts flirted with different ways to use the James Bond licence, including the critically-slammed "Goldeneye: Rogue Agent" in 2004 where players took control of a villain. EA also tested out the driving genre with "007 Racing" in 2000, which was also met with poor reviews. MI6 can reveal that a sequel was in the pipeline but was canned mid-way through production.